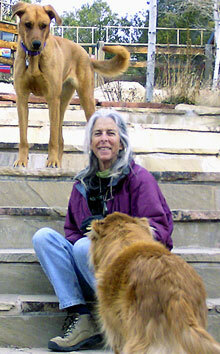 February, "We First, Changing Together"
of our time, bringing into being a peaceful, healthy and sustainable world. the world we’re all longing for, and creating. Before I introduce you to one of the best Climate Action Projects I know of, let me say there is much more information and links about climate change in "Inspired Action—What You Can Do" in this website. What is Project Drawdown? What does draw down mean? “Drawdown is that point in time when the concentration of greenhouse gases in the atmosphere begins to decline on a year-to-year basis.” Project Drawdown is a most impressive, inspiring and rewarding work. Edited by Paul Hawken in collaboration with over 70 professionals, researchers and scientists from 22 countries, the work outlines 100 solutions that we already employ to reverse global warming and address climate disruption. It's "a road map with a moral compass." Did you know that roughly 80% of all of us Americans (no matter our party affiliation or whether we consider ourselves liberal, progressive, conservative, or none of the above) think there is too much money in politics? This is something we can all agree on and something we can do something about, despite what we are told. Any election gives us an opportunity to put candidates in office who have committed to take no corporate PAC' money and no corporate lobbyist money. Clean candidates! Already several 2020 presidential candidates have pledged not to take PAC money. I want to highlight these websites that address getting money out of politics and taking back our democracy. Represent.Us An organization of conservatives and progressives working to pass the American Anti-Corruption Act on a local and state level. Check out this terrific 5 min. video and the website from Represent.Us The video and other links explain how corruption works in America (I know. We hate to think our American democracy is corrupt, but it is!) Learn about the American Anti-Corruption Act here. OpenSecrets.org is the best tool for finding out about money in politics: Who gets it? Who gives it? How much? 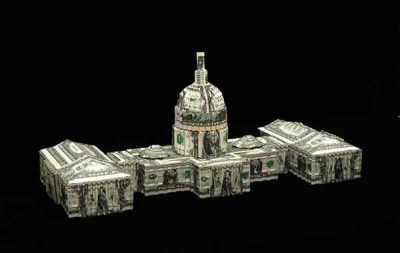 What's Dark Money and more. Progress 2018-2020 will give you extensive information, resources, action ideas, links, names of clean candidates, facts and commentary on how we get our democracy back. The Network of Spiritual Progressives is working to promote and pass The Environmental and Social Responsibility Amendment to the Constitution (ESRA) which, among other things, would require public funding of all national and state elections and prohibit money from other sources. For more on Money in Politics read my May Monthly Column. Unless money is out of politics nothing will change because profit will always take precedence over people and the planet. What we eat is a really big deal for the planet. All of us are concerned about, aware of, or affected by extreme weather, fire, drought, heat waves, floods and hurricanes all over the world, but most of us don’t realize how much our diet affects the planetary crises we’re facing. For example, did you know that raising animals for food produces more greenhouse gas emissions than all the cars, planes and other forms of transportation combined? Action is needed to reverse global warming and effectively address climate change. I’ve compiled a short list of resources and facts that highlight how our diet impacts Earth’s health and ability to sustain us. They are sobering and important. You care about Earth otherwise you wouldn't be reading this, so I strongly encourage you to take a look and learn more about what a planet-friendly diet looks like. Read "Talking Turkey, What's Our Beef?" and "At the Table of Change" in my June and July Monthly Columns. First of all, click here to see a larger, clear image. 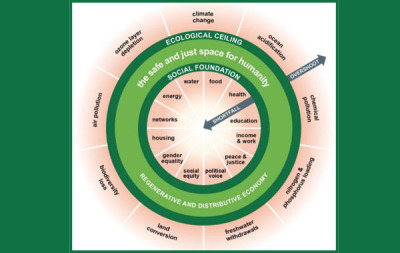 The image is part of an article by visionary thinker, David Korten, that will answer the question, How does a doughnut relate to economics? He describes the work of Kate Raworth, the creator of "Doughnut Economics." Click here to visit the Doughnut Economics homepage. I particularly recommend the animations that visually describe our social, political and environmental situation. We can see the relationships and the problems presented in a totally understandable form of a doughnut. It puts our human activity that is undermining our social and environmental foundations in one picture which I find energizing and exciting. Do you know the Story of Stuff? Watch this 21-minute film to find out. In this upbeat, blunt, simple and often humorous presentation, Annie Leonard graphically unfolds the story we've bought into for several decades; namely, that our main value and purpose as human beings is to consume stuff. We have believed that growing the economy is the number one priority for our being here on Earth. The big problem is that this linear system of exploitation and extraction of natural resources, cheap labor to make cheap goods for the profit of a few does not work on a finite planet. I wish everyone could watch this! It's worth the time you feel you don't have. Then go to my November Column for more good ideas and resources for how we can rewrite a good story for people and the planet. Our enormously productive economy demands that we make consumption our way of life, that we convert the buying and use of goods into rituals, that we seek our spiritual satisfactions, our ego satisfactions, in consumption. . . . We need things consumed, burned up, worn out, replaced and discarded at an ever increasing pace. We need to have people eat, drink, dress, ride, live, with ever more complicated and, therefore, constantly more expensive consumption. 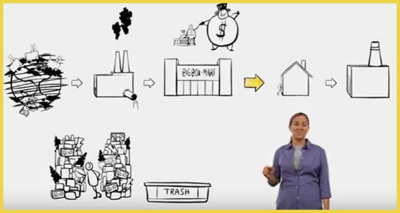 We've consequently created and bought into a system that is "designed for the dump." It has created an environmental and social wasteland. The film is a crash course, a primer with animated, audio Cliffs Notes about what our present economy looks like and why it doesn't work. 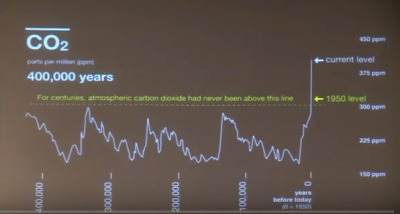 It goes to the heart of why we urgently need a new system, a new story for humanity and Earth. The new story is circular, a closed loop, a doughnut.